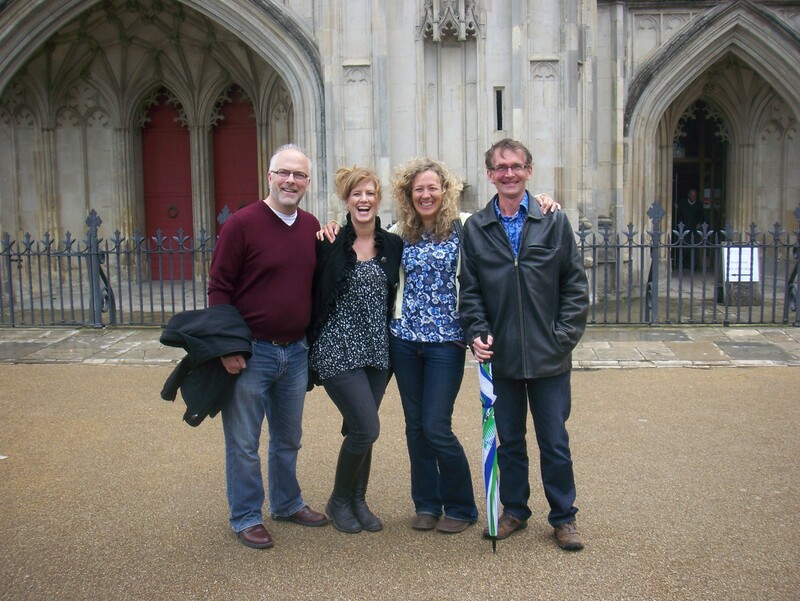 Peter and Caroline have lent us their car, so today we drove to Winchester to visit our friends Tim and Pippa. We’ve known them nearly eight years now and, although we’re separated by both an ocean and a continent–and only see each other about once at year (if we’re lucky)–they are among our dearest friends. We always seem to pick up right where we left off. 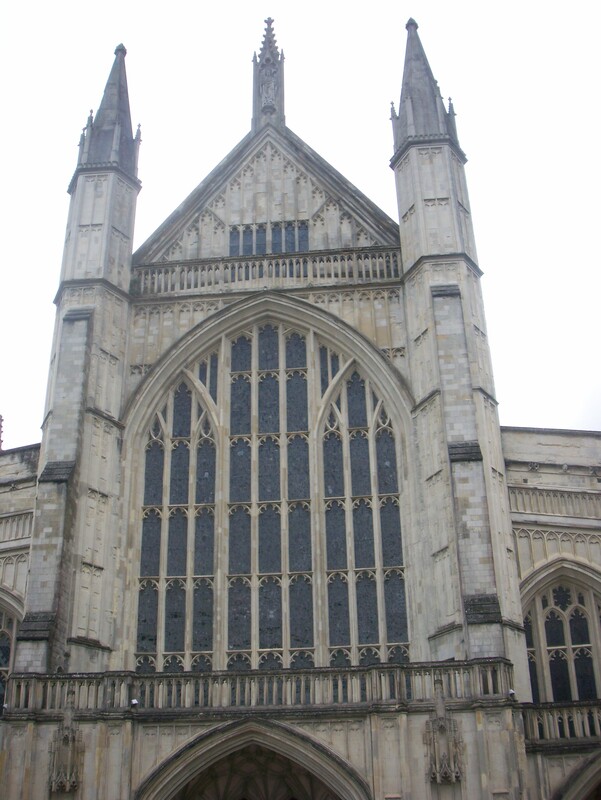 We all traipsed into into town from their house, dodging raindrops, and Tim suggested we go into the Winchester Cathedral to `’have a pray`’ and get out of the rain. A choir of school children was singing as we entered, their lovely voices ringing through the centuries-old cathedral. We found ourselves a side chapel in which to sit and pray for one another—specifically for our kids, as we often do when we’re together. It’s such a poignant feeling to be praying in a place believers have looked for and experienced God for centuries, and so easy to feel connected to history here. In memory of Jane Austen, youngest daughter of the late Rev. George Austen, formerly Rector of Steventon in this county, who departed this life on the 18th of July, 1817, aged 41, after a long illness, supported by the patience and the hopes of a Christian. The benevolence of her heart, the sweetness of her temperament, the extraordinary endowments of her mind obtained the regard of all who knew her and the warmest love of her intimate connections. Their grief is in proportion to their affections. They know their loss to be irreparable but in their deepest affliction they are comforted by a firm though humble hope that her charity, devotion, faith and purity have rendered her soul acceptable in the sight of her Redeemer.